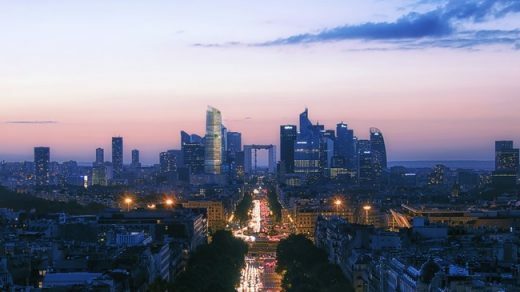 Groupama Immobilier and PCA-STREAM unveil The Link, the tower that will mark the advent of the new Defense, and will complete its entrance door. The Link concept wants to rethink the office tower, (too) long synonymous with verticality and isolation. 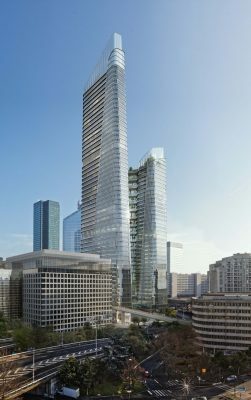 “A tower in La Défense is schematically a stack of trays of 1800m2 on average, on which the employees are isolated in small groups of 150 people per floor. The access to natural light is uneven, non-existent outdoor spaces and common spaces where work together very rare. 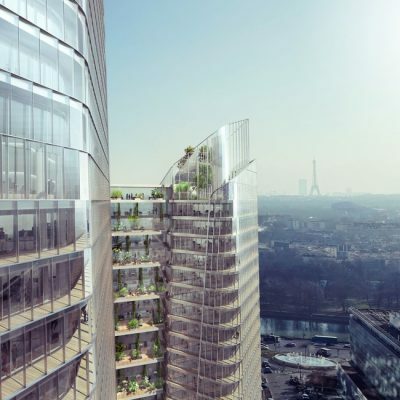 The traditional tower does not respond to the new paradigm of work spaces: places that promote cohesion, live together and collective intelligence, while respecting individual comfort,“ observes Philippe Chiambaretta. This can generate an impression of isolation and anonymity among employees, “who often have only the only place to find themselves the foot of their turn”. 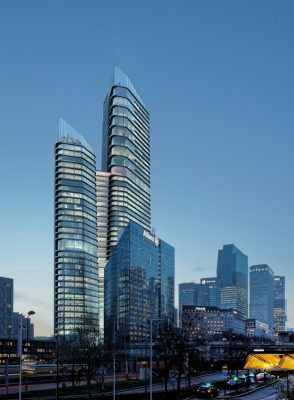 PCA-STREAM has therefore devised an innovative tower morphology that takes advantage of the size of the parcel: the tower is split into 2 wings, connected by 30 platforms, the “Links”. These platforms constitute the essential and distinctive element of the high-rise They are more than 8 meters high and have terraces and suspended gardens on each floor, with spectacular views. They are thought to be collective work spaces, meeting points to create a link. True “village places”. The “Links” will mainly provide a solution to the oldest fault of the office tower: lack of horizontality. 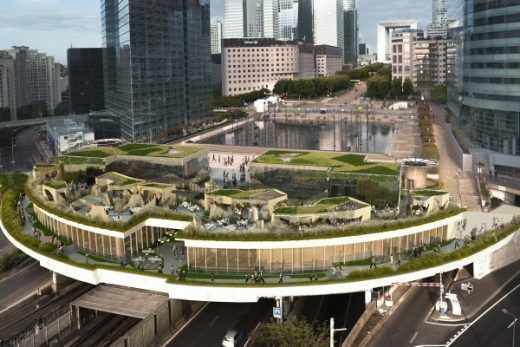 By linking the two buildings, these platforms will create trays of 3,000 m2, unprecedented surface for a Tour de la Défense. 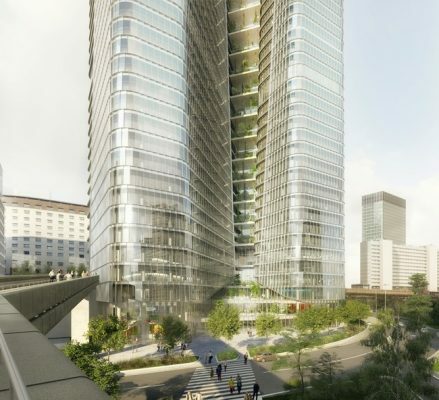 Better: all floors will be duplexed via large open staircases, creating 6,000 m2 units, which can be converted into enclosed offices or coworking spaces. To make 500 people work and live together: the equivalent of a business unit or a large SME.